You can ask Siri (your "personal assistant" on an iPhone or other Apple device) just about anything. The meaning of life? "There's an app for that." When will the world end? "In 5 billion years." When will pigs fly? 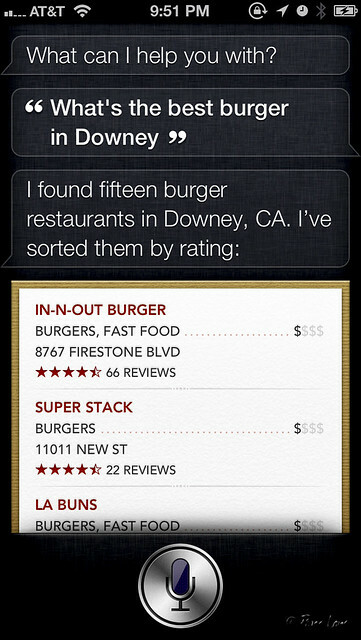 "When inserted into a circus cannon..."
But if you ask Siri for the best hamburgers in Downey, you'll get a serious answer. And even though In-N-Out has ever-so-slightly edged Super Stack out of first place since this picture was taken a couple of weeks ago, Super Stack is still one of the best places to go for a burger! 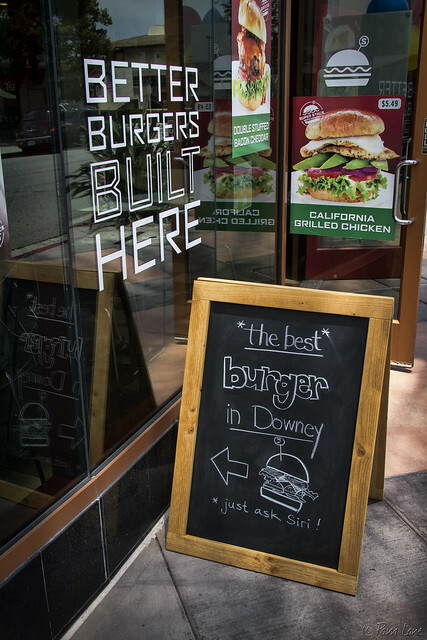 Both Super Stack and LA Buns are close by in downtown Downey.